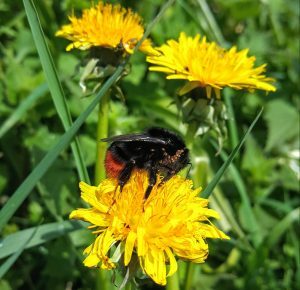 Every year we receive lots of enquiries with questions about bumblebees, that’s why we have added this page of FAQs which contains many of the answers to questions we have been asked in the past! Please use the links below or on the drop-down menu to learn more. What are mites and why do some bumblebees have them? I’ve found a bumblebee nest, what should I do? I’ve found a stranded bumblebee in bad weather, how can I help it? I’ve disturbed a hibernating bumblebee, what do I do? I’ve found a dead bumblebee, can I find out what happened to it? Are bumblebees a threat to pets and children?